Every office needs a center of attention — not a person, but an object. Whether it has words on it, an image or just color, there should be something that draws the interest of anyone who walks by. So why not invest in one of SpeedPro’s large format wall murals to do just the trick? 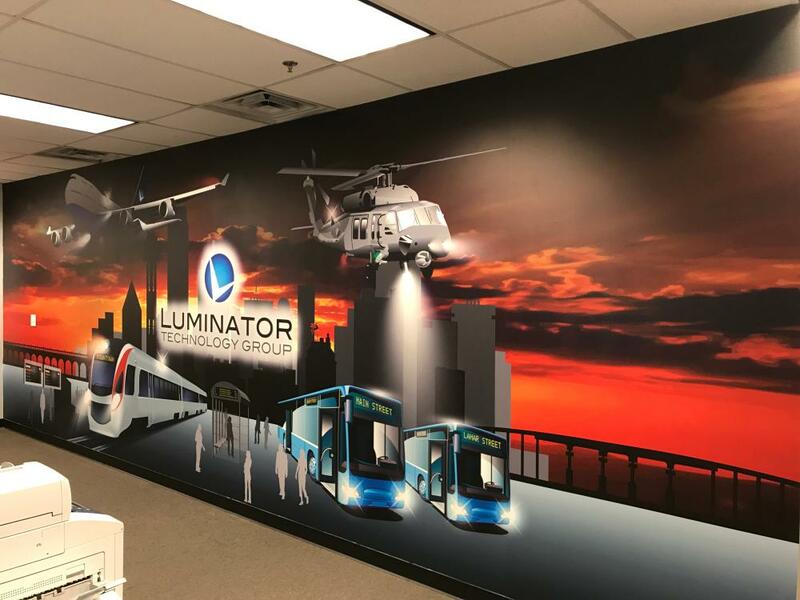 Our wall murals effectively tie together your room by creating an atmosphere that matches your business’s brand and excites customers and employees alike. 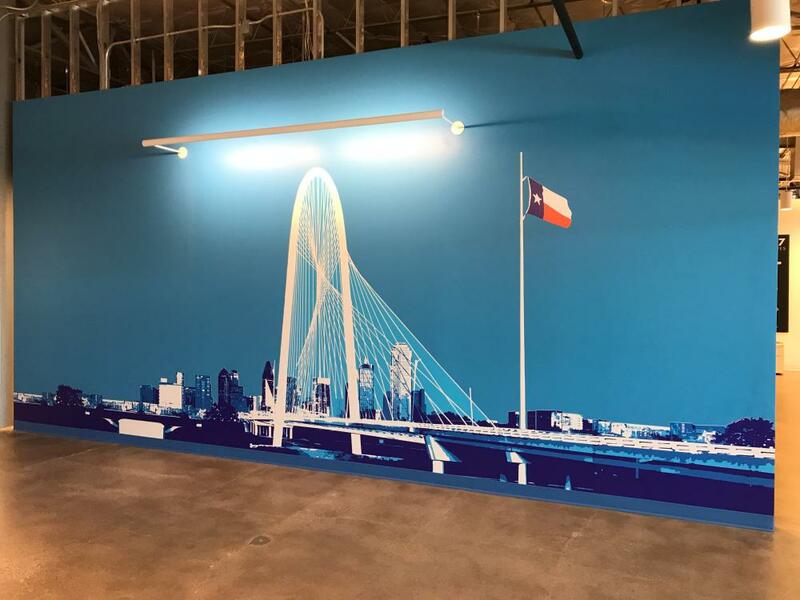 Whether you want your guests to feel calm or energized, our team at SpeedPro Imaging Richardson has the skills and knowledge to bring your mural — and your office — to life. Contact our studio today to get started on your next project! We serve businesses and organizations located around Richardson, Plano and Dallas. Let’s begin! One of the first decisions we’ll make during our scheduled consultation is where your new printed wall mural should go. Ideally, it will be in a convenient area where multiple people will see it every day, featured in its own spot. This placement could be a front lobby waiting area or a sectioned-off meeting room. Our second decision will be who the mural is meant for. Some businesses choose a large format wall mural to speak to their customers and get their brand and message across. Others prefer a wall mural for their employees, to keep them motivated and remind them of the benefits and effects of the work they do every day. For example, let’s say your lobby is always full of customers and guests, but your sales and customer connections have been lacking. 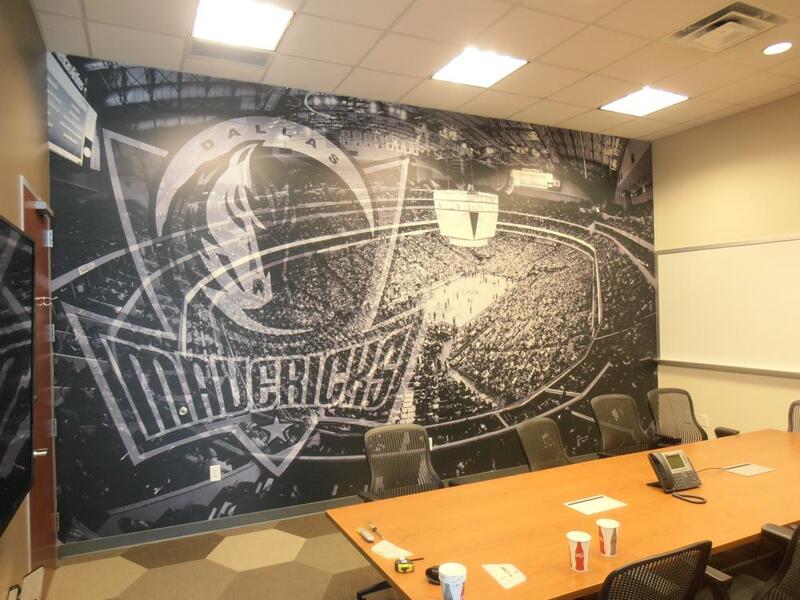 It’s possible for you to make an impact by adding a printed wall mural to their common area. Having a large and welcoming piece of art will ease their tension and make them feel secure in trusting you with their business. You can also convey the parts of your business that the customers most want to see, whether that’s featured products, quality of service or an overall feeling. If you want to connect more closely with your employees, you could set up a vinyl wall mural in a conference or general meeting area. This strategy would be great for businesses who interact with clients often. Going in for a discussion and seeing your company’s goals and mission statements can serve as a reminder of why your clients invest in your business. You could even place one in the room where offices are to keep your team focused and motivated during those long work days. Our vinyl wall murals are built to be durable and impactful. Paired with our adhesive, wall murals are rolled onto your walls and left to be non-removable, reaching a maximum lifespan of about seven years. This quality allows you to feel secure — no matter what kind of changes your business goes through, you can still reach your customers and employees through it all. 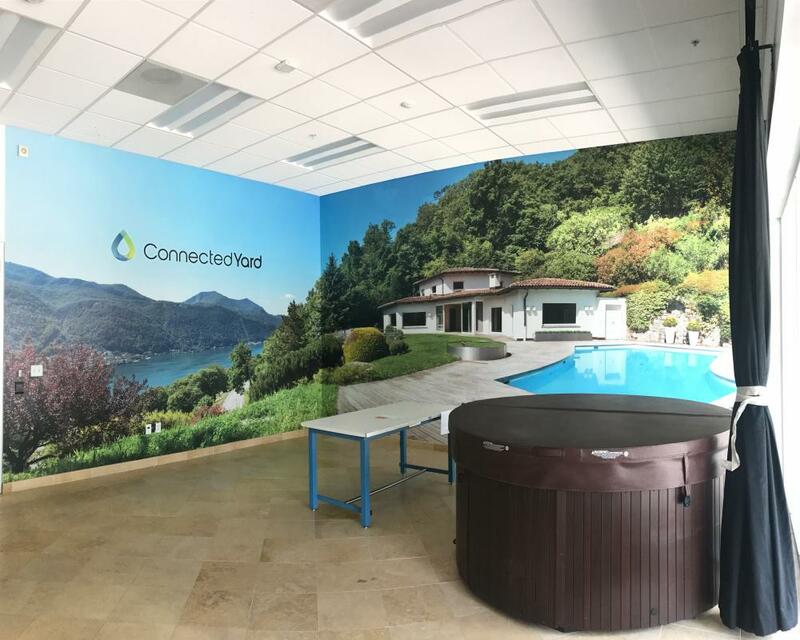 Of course, if you’d prefer a more temporary printed wall mural because your company rebrands often or you like to update the setup of the office, you can opt for a lower-strength adhesive. You’ll still receive the same bold vinyl wall mural, able to grab everyone’s attention who passes by — just for a shorter period of time. If you’re looking to add a new piece of decorative signage to your office or building, consider our large format wall murals! SpeedPro Imaging Richardson would love to partner with your business to create quality customer connections. Contact us today, and we’ll set up a consultation.